If you have an account, you can follow me at: SAMTJH22. If not, this recap is for you! 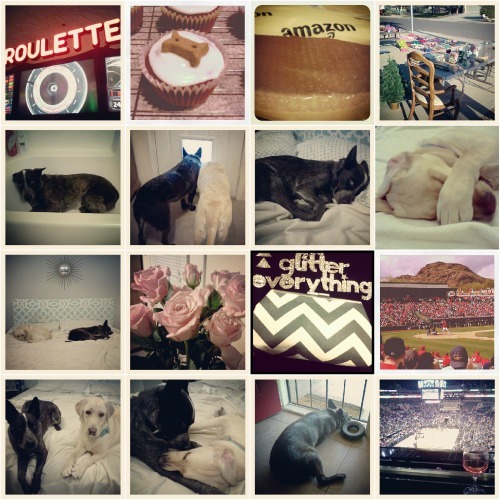 I’ve rounded up my last 16 Instagram pictures for you here today. It’s been awhile since my last Instagram post, so this roundup includes everything from Las Vegas to The Glitter Academy to Spring Training Baseball! As always, my plan is to share a pretty collage of all the pictures and then pick my top 5 in different categories: Abby, Ringo, Cutest Couple (Ringo and Abby), Yummy (Food or Drink), and Wildcard (Non-Food and Non-Puppy). This picture always makes me laugh. She’s such a sweet, silly dog (with big ol’ paws)! I’d been avoiding giving Ringo a bath in the tub for months because I assumed it was going to be complete chaos, but it’d been too cold to hose him off outside like usual. 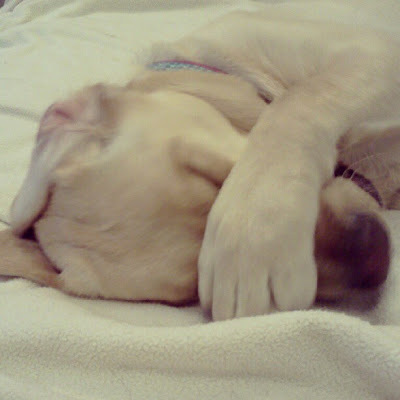 One day I felt brave and gave him a bath…and he loved it! 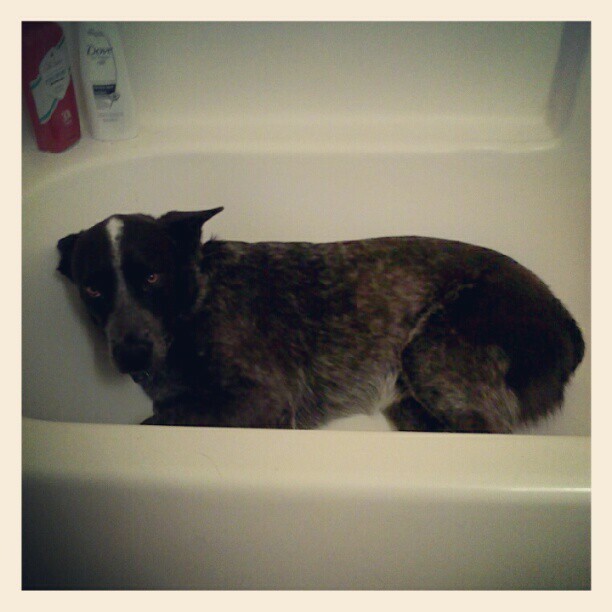 He jumped right in the tub, drank water from the faucet, and stood there while I soaped him up and rinsed him off. It was amazing! And now he’s obsessed with the bath tub. If I dry my hair in this bathroom, he’ll hang out in the tub or sometimes I randomly hear him climbing in to sleep in there. Now I swear he gets dirty on purpose so I’ll give him a bath! Silly dog! This is exactly what it looks like. 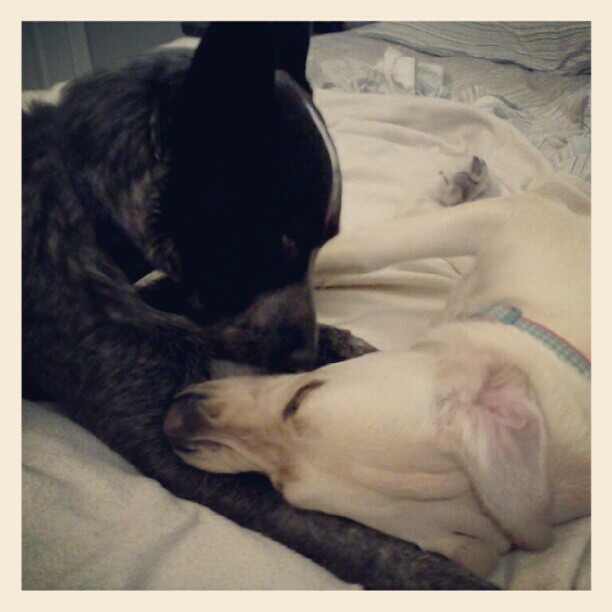 Ringo loves to hold Abby down and lick all inside her mouth and gums. He also cleans out her ears…whether she wants him to or not! 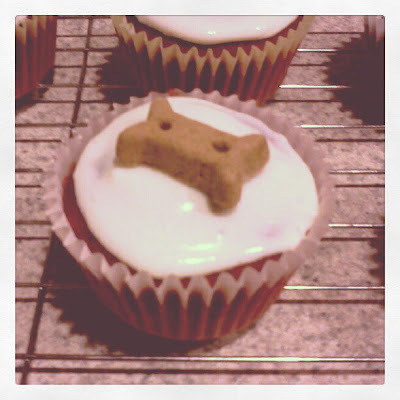 For Abby’s 1st birthday I made dog-friendly red velvet cupcakes with dog-friendly icing and milk bone toppers! Ringo and Abby LOVED them! If you are wondering, I got the cake and frosting mix in my monthly BarkBox. I took my dad to a spring training baseball game at the beginning of the month. He’s a huge Angels fan, so it was fun for him to see his favorite players and it was a good chance for us to hang out. We don’t really spend that much time with just the two of us, so it was a nice opportunity to enjoy some father/daughter time. 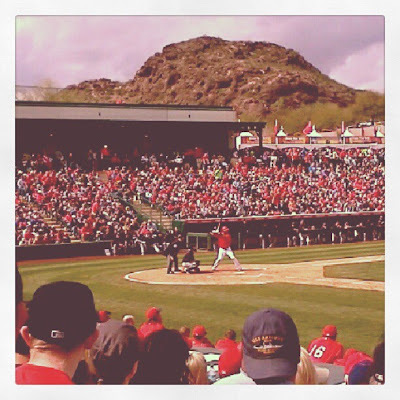 The weather was perfect and we had really good seats…it’s hard to think of a better way to spend an afternoon! Those puppy cupcakes are adorable! I have to do that for my Jack Russell! 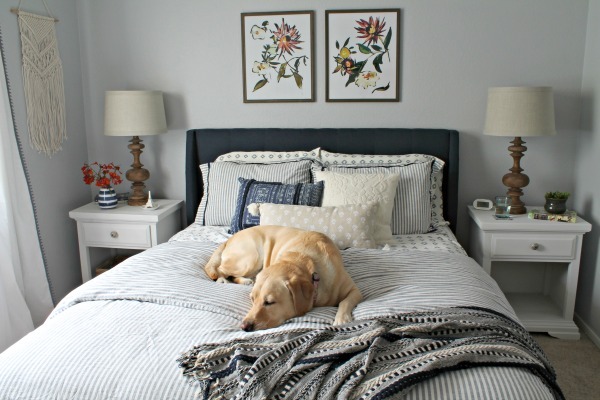 Your dogs are extremely cute!